Directions: Then you arrive to Bagnoregio city drive according to the signs to Civita village. Go to Caffè Belvedere sight view of Civita. 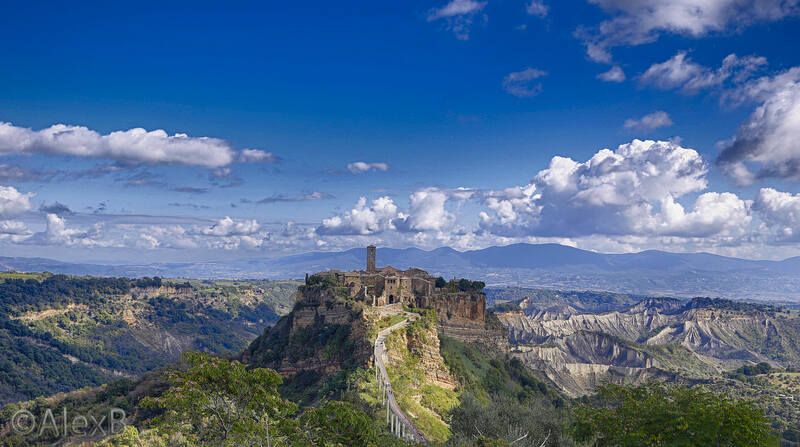 Civita di Bagnoregio is a town in the Province of Viterbo in central Italy, a frazione of the comune of Bagnoregio, 1 kilometre (0.6 miles) east from it. It is about 120 kilometres (75 miles) north of Rome. Sunset or sunrise will be the best time.